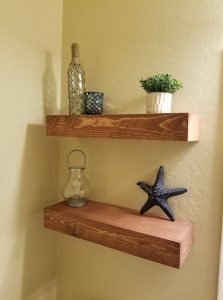 I purchased floating shelves for my bathroom last year off of a post I saw on Facebook and loved them. 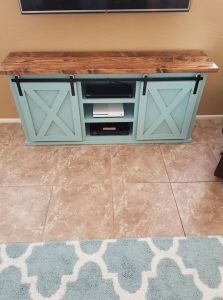 So when I was recently looking for a custom TV stand I contacted Triple Digit again. I am absolutely in love with it! It’s beautiful and the quality is top notch! I am very impressed with the quality of products and Josh is great to work with. The prices are also reasonable. I would definitely purchase from them again. We love our new farm table. We highly recommend triple digit wood design.